All India Institute of Medical Sciences (AIIMS), Rishikesh invited applications for the post of Radiographic Technician Grade-I and other Posts. Interested candidates can apply through the prescribed format on or before 30 June 2017. 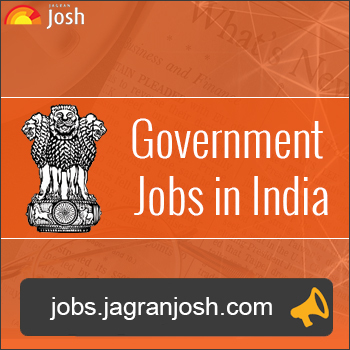 Senior Medical Officer, Medical Officer- The candidate should have degree in any of the five streams in AYUSH from a recognized university/statutory state board/Council/Faculty of Indian Medicine or equivalent, recognized under the relevant council; Enrolment on the central Registrar of that stream in Central or state registrar of Indian Medicine. Antenatal Medical Officer Grade- A – The candidate should have a recognized medical qualification included in I or II Scheduled or Pan II of the 3rd Schedule to the Indian Medical Council Act 1956 Holders of educational qualifications included in Part-II of the 34th Schedule should fulfill the conditions stipulated in subsection (3) of the section 13 of the Indian Medical Council Act. 1956. Yoga Instructor Grade-B - Graduate from a recognized University; Diploma in yoga from a recognized Institution by the Government. Radiographic Technician Grade- B - B.Sc. (Hons.) in Radiography or B.Sc. Radiography 3 years course from a recognized University / Institution. Senior Resident - A postgraduate medical degree viz. MD/DNB/DM/M.Ch in concerned specialty from a recognized Institution. Junior Resident: Candidates should have passed MBBS (including completion of Internship) from the MCI recognized. Tutor/Demonstrator: A postgraduate Marks Sheet & Certificates from a recognized Institution. "Recruitment Cell, All India Institute of Medical Sciences, Rishikesh (Uttarakhand)-249201" on or before 30 June 2017 through Ordinary Post/Reqistered Post/Speed Post Only.